The non-greasy, lightweight formula in Oxygen Botanicals Day Cream - Normal to Dry Skin hydrates and rejuvenates the skin, healing dehydration as it reduces the size and appearance of fine lines and wrinkles. Formulated with nor lam to dry skin in mind and gentle enough for even sensitive skin types, Oxygen Botanicals Day Cream - Normal to Dry Skin infuses all layers of the skin with moisture, repairing damage and healing dehydration for a more vibrant, healthier complexion. Lightweight and quickly absorbed, Oxygen Botanicals Day Cream N/D can be used both during the day and at night to rejuvenate and nourish your complexion. The non-greasy formula restores essential moisture to the skin without causing buildup or a heavy feel. Active ingredients in Oxygen Botanicals Day Cream - Normal to Dry Skin such as moisturizing squalane soothe the skin while reducing the depth and appearance of fine lines an wrinkles. At the same time, humectants draw moisture from the surrounding environment and enhance lipid barriers to lock moisture in for lasting hydration benefits. 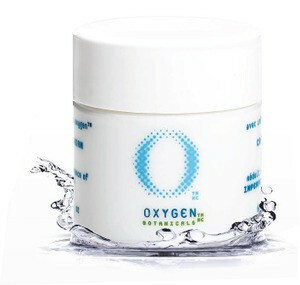 Rejuvenate your skin with the daily-use Oxygen Botanicals Day Cream - Normal to Dry Skin. All skin types can benefit from Oxygen Botanicals Day Cream for Normal to Dry Skin. Using your fingertips in a gentle, circular motion, massage a thin layer of Oxygen Botanicals Day Cream - Normal to Dry skin into the cleansed surface of the face every morning. Use after toner and serum application. Follow up with a sunscreen if sun exposure is a possibility. * May also be used at night. Active ingredients in Oxygen Botanicals Day Cream - Normal to Dry Skin include moisturizing squalane, rejuvenating ceramide III (humectant), soothing gotu kola extract and coneflower extract, reviving ginseng extract, and hydrating, softening aloe vera gel.